Rüya Dubai, the city’s award-winning restaurant and bar located at the Grosvenor House Dubai Marina, celebrates the 47th UAE National Day with the second edition of their Bayram Night, held in honour of the nationally observed holiday, partnered with a specially crafted dessert. To mark the occasion, Rüya invites guests on Saturday December 1st for a true celebration of culture and food in an enchanting and vibrant atmosphere. Indulge in a carefully crafted menu of classic Anatolian cuisine, partnered with artistically prepared beverages and live entertainment. Taste a selection of the house favorites with the evening brunch, including the signature Two-cheese pide, Lahmucun filled with spicy lamb, simit coated baby squid and Çaġ Kebap. 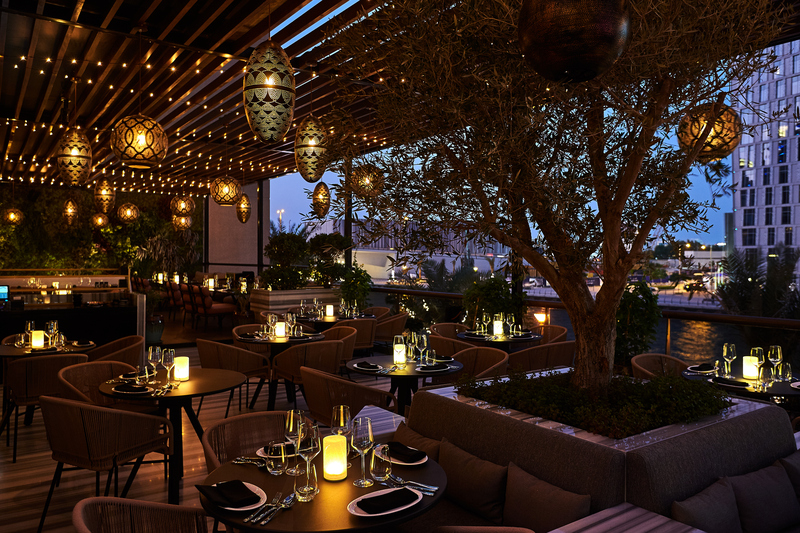 Rüya’s iconic 360 degree bar will serve up a selection of signature cocktails, inspired by the culture of Anatolia, including Ottoman Old Fashioned and the flavourful Anatolian Fizz. To commemorate the historic day, Rüya Dubai have created a unique Hazelnut Baklava to end the culinary journey. Made with whipped kaymak cream and cinnamon, the innovative dessert is paired with a special camel milk ice cream paying homage to the country’s rich dining culture. Guests can relish the unique version of the traditional baklava on both December 1st and December 2nd. Immerse into a memorable National Day at Rüya Dubai and enjoy the dazzling ambience, authentic cuisine and entertaining live entertainment. National Day Bayram Night Saturday December 1st from 8.00pm until midnight. Prices start from AED 299 for food with soft drinks only, AED 399 with house beverages, signature cocktails and bubbly and AED 499 inclusive of French bubbly.